Actress Mila Kunis was honored by Hasty Pudding Theatricals as "Woman of the Year." 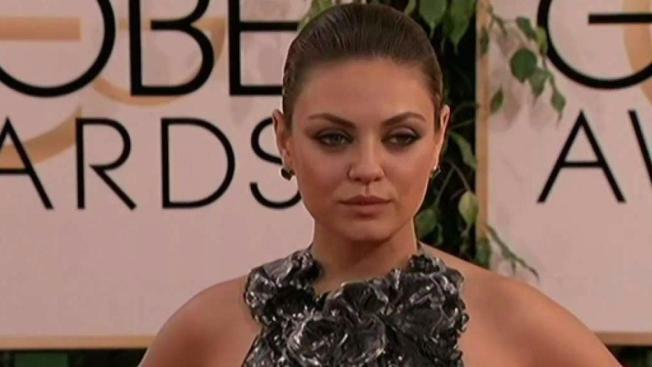 Golden Globe-nominated actor Mila Kunis has been named Woman of the Year by Harvard University's Hasty Pudding Theatricals. Hasty Pudding in its announcement Tuesday said it is honoring Kunis because she is one of Hollywood's "most sought after, vivacious, and engaging actresses." Kunis earned a Golden Globe nomination for her role as Lily in 2010's "Black Swan." She starred in "Bad Moms" and "Bad Moms Christmas" and recently wrapped production on "The Spy Who Dumped Me," scheduled for release in August. She made her mark in television as Jackie Burkhart in "That '70s Show" and as the voice of Meg Griffin in the animated series "Family Guy." She'll be honored Jan. 25 with a parade through Cambridge followed by a roast at which she will receive her pudding pot.